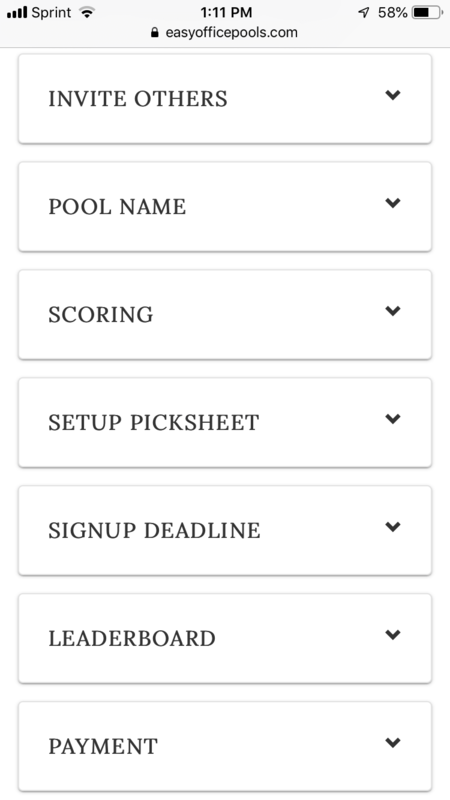 Manage your pool with ease and flexibility. We’ll handle the scoring and entry forms. 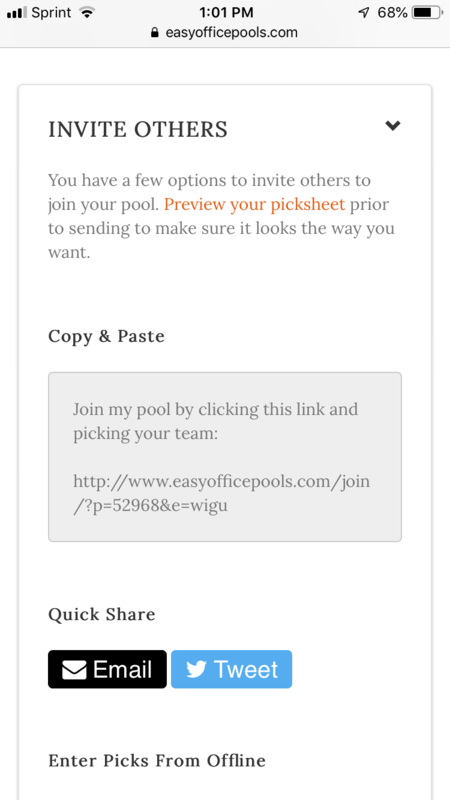 No registered accounts necessary for your office pool participants. Hands down the most seamless, enjoyable pool experience I’ve ever had. 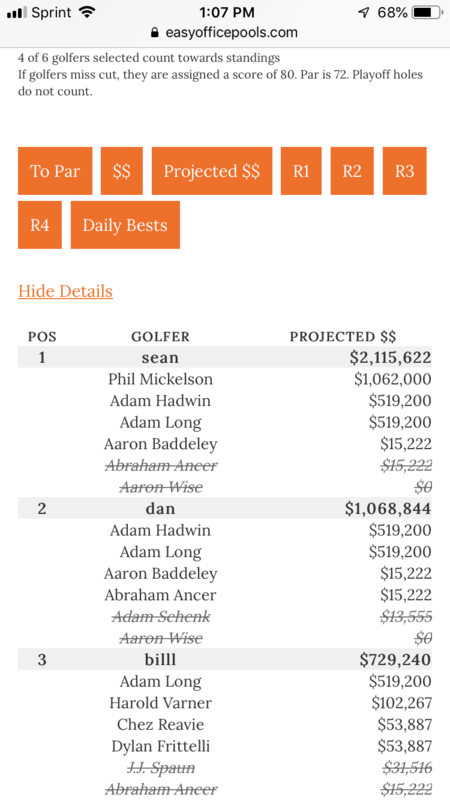 Been running a Majors pool for the last 7 years, and although I had it down to a science in Excel, it paled in comparison to easyofficepools. Really easy to use and saved me a ton of time as organizer! All participants really liked it as well! 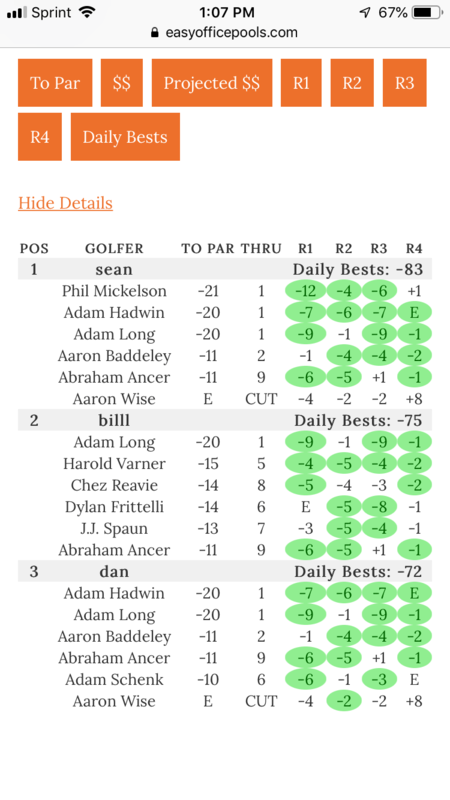 Sean – the feedback I got from using this pool vs my Excel spreadsheet was fantastic. 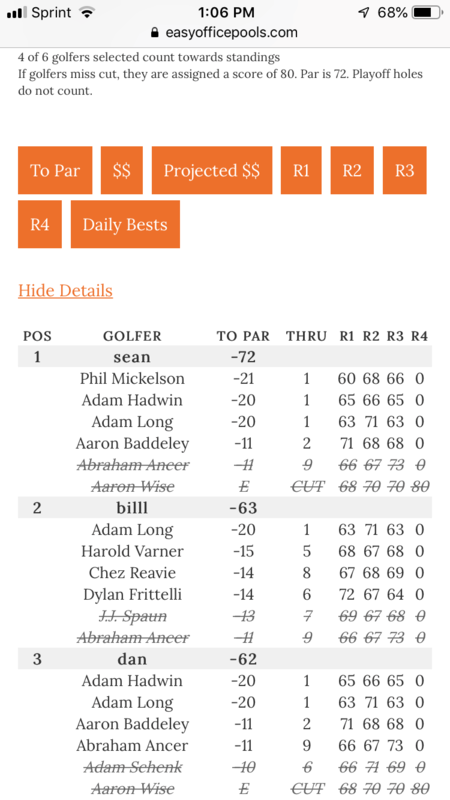 People loved the ability to check the website for live updates on the scoring. GREAT job! 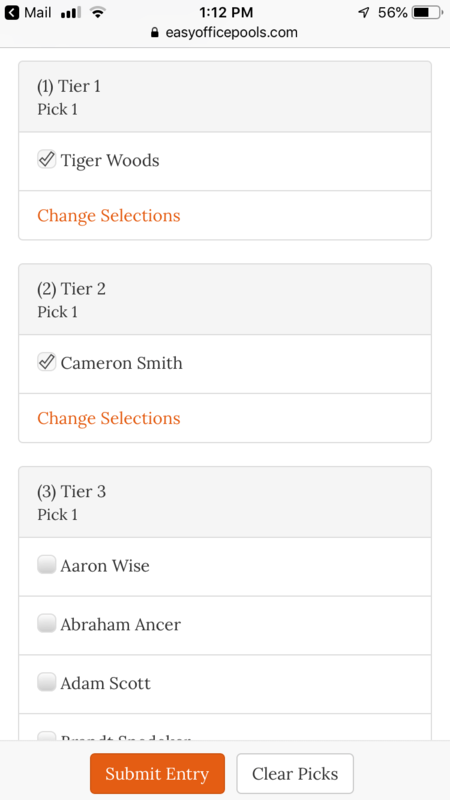 Your team/site so far exceeded my expectations this past week that I will be running all of my pools with you from now on. 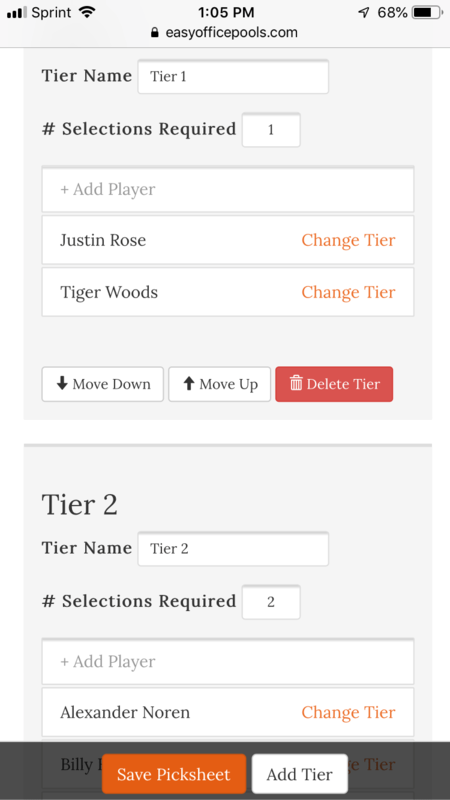 The ease of use for my players and the look and functionality of the leaderboard was flawless. 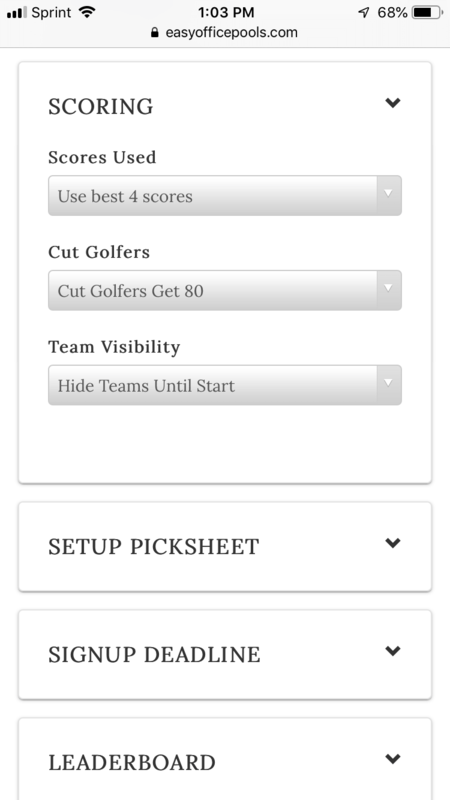 You don’t have to keep score. Our system takes care of it. 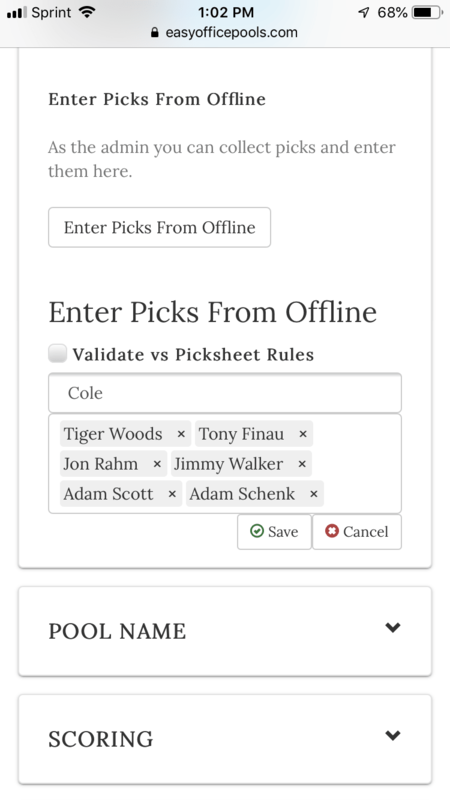 Lots of different ways to setup your pick sheets and scoring. Keep the format you’ve used for years. You’re poolies will love it. No login necessary to track live standings.